GET THE BOOK AND START MANIFESTING YOUR DREAMS TODAY!!! Don’t let any excuse put off what you can do! !Have you ever felt you have a message that could change the world? Do you dream of sharing your gifts and talents with a world that needs them. If you want a step by step guide to share YOUR message worldwide this book is for you. Filled with true inspirational stories of how to use social media for a greater good. Experts share their secrets to make it easy and fun for YOU! This book covers everything you need to start your own revolution. 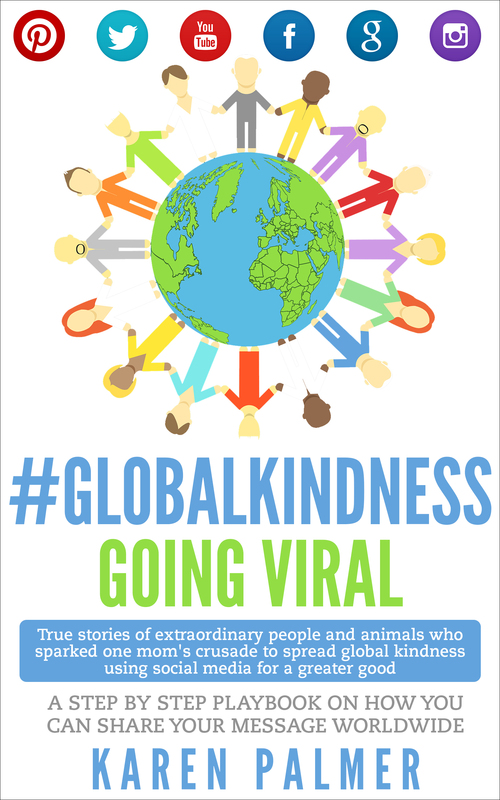 Learn how one mom’s crusade to spread global kindness DID start a revolution. How you can too! 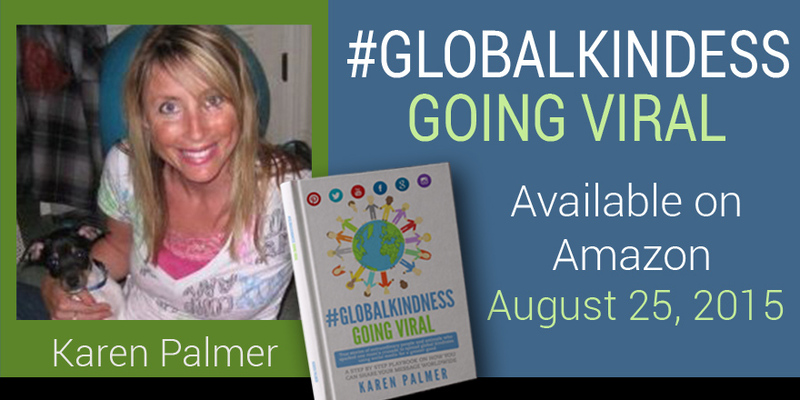 Thank you Karen for creating a family of global kindness warriors! These true stories of transformation cut deep into raw truths desperately needed for today’s leaders. A book filled with optimism, hope and lots of love. Pure inspiration to believe the best is yet to come! I read the whole book through at once because I couldn’t stop. It inspired me to continue harder on my path, and to do my part to spread kindness by helping turn around the obesity epidemic that is not just an American problem anymore. Too many people including children are suffering from obesity related chronic diseases, mental anguish, and shorter lifespans. Most obese people feel helpless to overcome this sickness, I have lost 125lbs and reversed several major health problems. I want to help others do the same. The resources in your book are also a goldmine for any one wanting to get their message out. I didn’t realize that you were so famous, and well established. I originally bought your book as a random act of kindness to help out a fellow aspiring writer lol, plus the title sparked my interest. It’s funny how the Universe works, I thought I was helping you, but it was actually the other way around. Thanks for the inspiration and courage you’ve given me to make a difference in the world.